Today’s vehicles have gotten increasingly more technical and incorporated numerous electronic safety features that help to control the vehicle, protect the occupants and most of all secure the automobile and prevent theft. 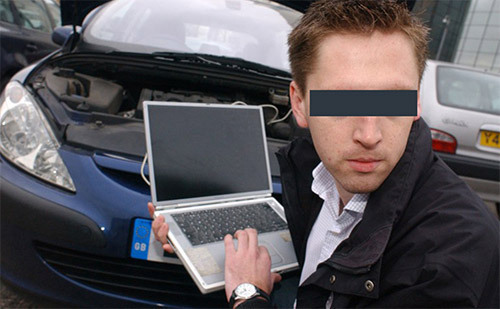 But with increasing technical complexity of modern automobiles has also come increasingly technical thieves who have developed new techniques to bypass the security systems on your vehicle so that they can steal the car or the contents without being caught. When you install GPS vehicle trackers in your vehicles you will augment the alarm systems on your vehicle and help protect your car wherever you may leave it parked. One of the favorite features that GPS vehicle tracker installers and users always mention when they talk about their devices is the fact that they receive instant notification if the vehicle alarm has sounded via their mobile device or computer. The GPS vehicle tracker can be connected to the vehicle’s alarm system and when the alarm goes off the GPS vehicle tracker will send an SMS text to the owner so that they may take action to secure the vehicle and stop a theft. As a last resort they can at least notify the authorities that a theft is in progress and allow the authorities to take action and catch the thief. When the vehicle owner receives a notification that the alarm has been triggered on their vehicle they have a second line of defense that they can employ on their vehicle. GPS vehicle trackers use two-way SMS communication allowing the vehicle owner to manually activate the ignition kill feature which stops the vehicle from being driven. Unfortunately, alarms and ignition kill switches are not always enough with today’s high technology thieves and this is where the GPS vehicle tracker gives one additional layer of security for those who install them in their vehicles. Vehicle owners can use the geo-fencing capabilities that establish a perimeter for their vehicle and will receive notification if their vehicle leaves that perimeter. This last resort security feature will notify the owner that their vehicle is being moved without their authorisation and provide the exact location of the vehicle for authorities to recover the vehicle and stop the theft. Be one step ahead of thieves with GPS vehicle trackers. For pricing and suggested models for your particular tracking requirements please complete this form (below). What type of tracking do you require? Areas without mobile phone coverage?